Dear friends, year 2016 is coming to its end. Association “Shamir” and Riga Ghetto and Latvian Holocaust museum spent it actively. We organized exhibitions, seminars and concerts, published books, showed our exhibition in Oslo, and opened school of teaching of history of the Holocaust and tolerance. Description of our year in below. We will be grateful for your support. 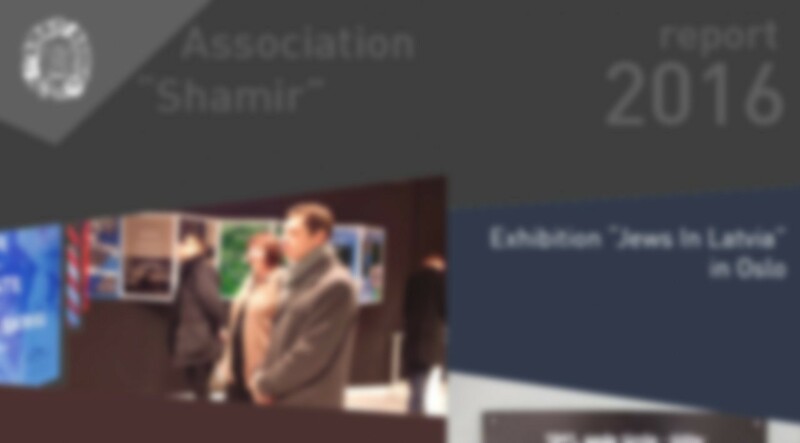 Association “Shamir” is a charity organization. Each donation makes difference. The Fourth International Conference “Holocaust Museums and Memorial Places in Post-communist Countries: Challenges and Opportunities” is dedicated to the memory of Professor Eli Wisel. A young man who have survived in hell and resurrected from ashes. He was the first one who named the Tragedy Holocaust, invoking all the people in the entire generations feel these sad memories as if they have been there themselves.